Rivvy Neshama’s simple practices come alive in the stories, illuminating how she moved through fear and darkness. 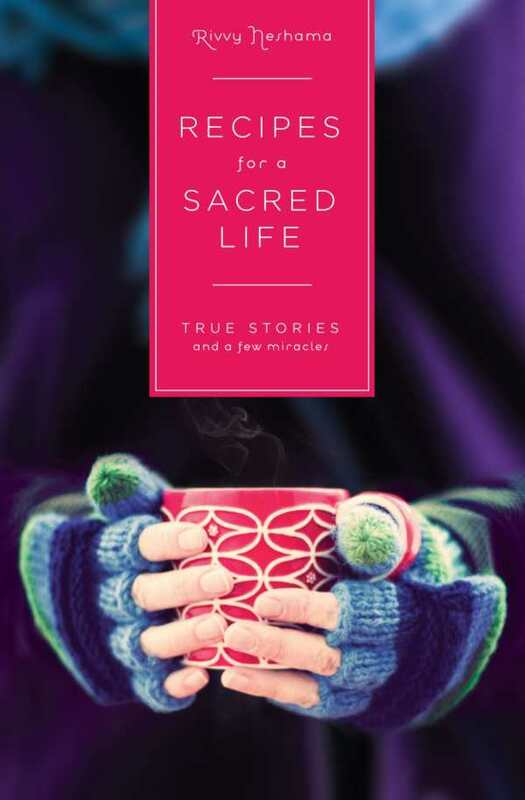 A sacred life requires no ashrams or mountaintops, according to author Rivvy Neshama, who calls her stories from life “recipes.” She honors her mother’s nearly blank recipe book who, like the author, “wasn’t much of a cook” in Recipes for a Sacred Life: True Stories and a Few Miracles, giving shape to a bright promise of awakening that comes from simple ingredients and life’s most everyday moments—sunrises, walks, animals, neighbors, parents, being a grandparent, and making lists. The author does not stint in sharing her own shadow, including panic, anxiety, and depression after the breakup of her first marriage. Her simple practices come alive in the stories, illuminating how she moved through the fear and darkness of that and other parts of her life. The stories are journeys into Harlem with the young woman battling anxiety; onto a plane to miraculously meet a cousin she didn’t know she had; and to the beach with her grandchildren. Only a few of the “recipes” resemble actual recipes, with suggestions of things to do. Some may be disappointed there’s so little prescription. “In Jewish tradition, the best jokes are stories,” says the author. Likewise, Neshama’s audience will experience that the most sacred recipes are also the stories.